The Geifman family’s present business, Geifman First Equity, vaguely resembles the Quad City grocery store that carried their name for generations. 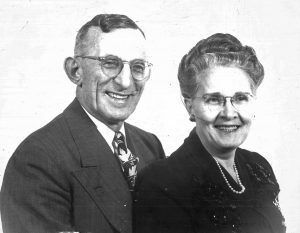 The grocery store business began around 1913 when George Geifman, a non-English-speaking Russian immigrant, bought out the stock of a small grocery store in downtown Davenport. Over the years it has transformed into a commercial real estate development and management company. The Quad City based company still owns and manages many of the properties that were once Geifman Food Stores, but today the tenants are Hy-Vee Food Stores as well as other retail and commercial tenants. The properties owned by the company continue to expand across the area, serving an increasing number of commercial tenants and their customers. Today, the company is run by Steve Geifman the fourth generation to lead the company. The family-run company is focused on the management of its existing properties, as well as the development of new properties to meet the specific requirements of various businesses, ranging from internationally known companies like Starbucks, to local businesses in need of commercial space.